Contact your local constituency office to arrange a visit. You can visit Parliament Buildings to see the Assembly sitting, arrange for a tour guide to show you around the historical building, or arrange to meet Roy Beggs your Assembly member. 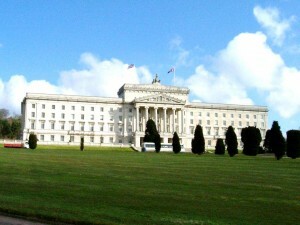 Roy has welcomed numerous groups and individuals from East Antrim to Parliament Buildings: schools and youth groups; church organisations; Women’s Institutes, and families. The Assembly has knowledgeable tour guides who will advise you of the history of Parliament Buildings. The tours last approximately 45 minutes and give the opportunity to have many questions answered. If you or your organisation are interested in visiting Parliament Buildings please contact your nearest Constituency office, either by telephone, email or by calling into the offices.